We’ve prepared this FAQ about VoyageChicago (run by Voyage Group of Magazines, LLC) (“Voyage”) in an effort to ensure that anyone who is interested can have a full understanding of what we do and why we’re doing it. 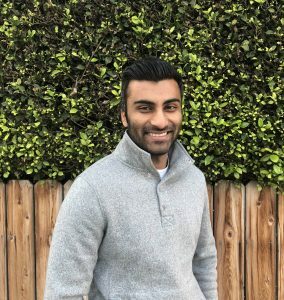 Hi everyone – I’m Mayank and I’m one of the two founders of Voyage. I was born in Miami, Florida and lived in South Florida through high school. My parents came to this country with very little, but they scraped some savings together, borrowed on their credit card and bought a small business and ran it together for almost 30 years. We weren’t wealthy, but my parents never wanted their lack of wealth to interfere with my ability to grow, learn, and pursue the dreams that I had. After high school I moved to LA to attend UCLA, which is where I met my cofounder Sid. After college, I was fortunate to land an incredible job as an investment banker at one of the world’s top banks. My parents were proud, their decades of sacrifice had helped their son “make it.” I worked in LA and NY for a few years, but then I left banking because I wanted to make an impact on the world in a different way. I wanted to figure out how to help people who were like my parents, but just starting out. Sid and I started building a tool to help small businesses build their own websites, but there were already so many of those, so we stopped working on that and focused on what we felt no one was doing – telling the stories of everyday heroes. We wanted to build a platform fully focused on telling as many stories and bringing as much exposure as we could to hard-working people who were doing something entrepreneurial, creative or artistic with their lives. 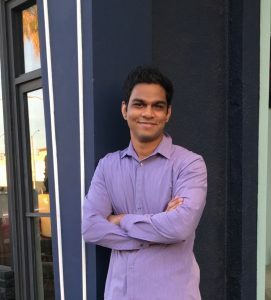 Hi everyone, My name is Sid and I’m one of the co-founders of Voyage. I came to the US for college and ended up falling in love with everything about America, in particular the free-thinking and anything-is-possible spirit. I went to UCLA to study neuroscience and become a doctor, but realized that medicine was not my passion. Through some struggle trying different jobs, I ultimately found software engineering to be extremely fun and fulfilling. So many people helped me along the way and encouraged me to find my passion. What I realized through my journey is that many other people struggle to find what they are passionate about too, and once they find it they end up having a positive impact on the world. These people have great stories but because they aren’t necessarily famous, the story is often untold. A few years ago Mayank and I partnered to provide web-development services to freelancers, artists, and small businesses – a group of creators close to our hearts. By talking to these people we learned about their amazing struggles and successes, but realized no one was sharing their stories. So, we set out to be the ones to uncover and share the human stories behind the people pursuing their passions, who we often see and drive past, and maybe even interact with everyday, but know little about. We believe that our communities are great because of the little guys and gals, the mom-and-pops, rising artists, local makers, creatives, and others who go off the beaten path, take risks and try to serve their community with something unique and special. Our goal is for people to spend more of their money with mom and pops, local artists, creatives and makers rather than with large, one-shape-fits-all corporations. We think if people knew more about the lives, journeys, struggles, values and background stories of the local business owners, artists, etc they would be more engaged with them, more likely to do business with them and support them in other ways. We believe the best way to do that is to help get the stories of local hidden gems out there, because once people get to know each other at a deeper level we are confident our communities will become even closer and more supportive. Over time we plan to grow and deepen our involvement with the community beyond storytelling, to include in-person events that promote local artists and entrepreneurs, etc. We are excited and touched by the number of people that have expressed an interest in being part of that growth. We are a platform that highlights the extraordinary life stories of everyday folks, told in their own words. We do not have a masthead: For us, this started as a passion project. We are a small team that works with freelancers and contributors because there is an enormous number of amazing, untold stories that deserve to be told. Our contributors are not reporters – they are real people who work with us because they believe in our mission. By working remotely, part-time etc., they are able to support the magazine based on their availability. Through their efforts, we are able to learn from, and share the stories of many more people than we otherwise could. As such, our outreach contributors are free to use nicknames, first names or pen-names in their communications to preserve their privacy and avoid being contacted personally (i.e., on social media by people looking to connect). Since our outreach contributors may come and go, we do not require them to have a staff bio on our website. Our stories don’t have by lines because we allow interviewees to tell their stories in their own words, eliminating the (well-intentioned) interference of a writer’s voice. We are not journalists: We do not provide headline news. We don’t analyze politics or preach policy. We are in the business of finding amazing people and giving them a platform to tell their own stories in their own words. Inclusive rather than exclusive: We strive to be an inclusive platform, rather than an exclusive club. Many media outlets create value through exclusivity, featuring a very small number of people each year. We believe in the opposite approach. We believe in supporting people who are up-and-coming, as well as established. We believe in sharing the struggles behind the success, not just the accomplishments. And we believe in getting to know the person and their philosophy, not just their art, product, or business. We believe that by telling more stories we can make a bigger impact on our communities and the world. If only a handful of stories are told, then only a handful of people can benefit from the power of storytelling. We think communities are better when we know each other at a deeper level, but that’s not possible if we are only exposed to the stories of a select group and tiny percentage within the community. We value diversity: We take pride in the diversity you’ll find on our site. You’ll find people of all different backgrounds, races, countries of origin, religions, sexual preferences, gender identifications, professions, education levels, colors, shapes, and sizes featured on our site. Relative to almost any other media organization, on a typical day, even a cursory glance at our homepage will highlight how much more diverse we are relative to almost any other media outlet. This is intentional. We strive to make our platform accessible to groups that have traditionally been underrepresented in the media. Authenticity over polish: We publish people’s stories in their own words, even when there are grammatical issues because we believe it’s important to highlight that not all successful people sound the same, have flawless writing skills, etc. If every time you see a feature of someone successful in the media and everything about them is perfect – from editing their responses to photoshopping their images to remove every “imperfection,” you may get the false idea that successful people are perfect and that if one is not perfect, they might not be capable of success. We want to debunk this myth by showing that success comes in many forms/styles/education-levels/writing-styles, etc. That said, we all make mistakes, so if you notice an error in your submission after the fact, we are more than happy to work with you to correct it. If you participate in a Q&A interview (our primary feature format), your answers and pictures will only be used for the interview and promotion of the interview. It will not be used for ANY other purpose. We do not sell your data, and we also do not use the information you provide to analyze it for marketing purposes. We use Google Analytics to keep track of our website traffic. However, we DO NOT aggregate, share, sell or otherwise use data for any other commercial purpose other than keeping track of our traffic. We may reach out to you in the future via email or social media to see if you are interested in collaborating with us again on another series, event, project etc. If you ever want us to stop reaching out you can let us know easily by clicking the “preferences” button in any of our emails to you. We are based in Los Angeles, California, where we started our first site VoyageLA.com. Our mailing address is: 641 N. Larchmont STE 220, Los Angeles, CA 90004. This is the co-working space from where we first started, though we now work out of multiple co-working places and many of our contributors and outreach team are remote. Given our access to phones, e-mail, Skype, and other digital forms of communication, our contributors have the flexibility and freedom to work from wherever is convenient to them. The power in most media organizations is concentrated among a tiny group of people in the editorial department who decide who will get coverage and who won’t. Often, these editorial elites can be removed from the heart of the community. By valuing recommendations we are able to take power out of the editorial office and distribute it to the people – so that the community is helping to drive coverage decisions rather than a small group of editorial elites. This allows us to feature thought-provoking art that may not be the most commercially successful (yet), and/or highlight the stories of trailblazing women that are making a difference in all fields. On our platform, we have been blessed and amazed to see what people we featured a few months or years ago have accomplished since because we were able to connect with them when they were still an up-and-coming artist or entrepreneur. We want our site to be a positive and inspirational place, but know the path is not always easy. We have been particularly touched by the stories of people who we happened to connect with at a time of personal or professional difficulty in their life, like when they were making a career change to leave a 9-5 and pursue a passion. We love getting updates about how them sharing their story helped their business, self-confidence, re-connected them with old clients/followers who never knew their personal story, or allowed them to chronicle and journal their journey. We can’t wait to read and share your story!